Short-term debt pipeline shrank in Korea in the early months of this year amid reduced risk of interest rates going higher, data showed. 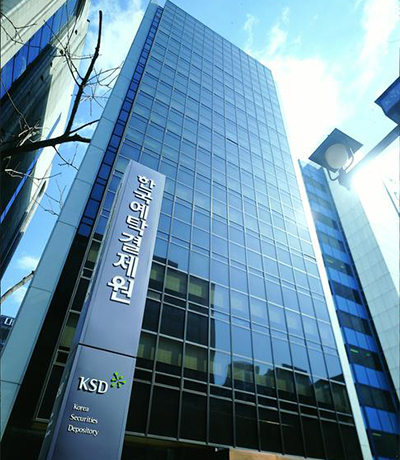 According to the Korea Securities Depository, bonds electronically offered so far this year and dated 1 year or less totaled 246.8 trillion ($218.7 billion), down 17.2 percent from a year ago. When excluding papers of special purpose company (SPC), the issuance stopped at 203.4 trillion won, down 22.6 percent on year. Those issued by SPCs gained 23 percent to 43.4 trillion won over the cited period. Electric short-term bonds maturing in three months or less totaled 245.9 trillion won to account for 99.6 percent. Such extremely short bonds are exempted from documental approval process. The short-term debts with credit standing with the highest A1 also took up the majority of 89.5 percent of whole or 220.9 trillion won, followed by those with A2 rating at 21.1 trillion won and with A3 rating at 4.1 trillion won. Securities companies issued 137.3 trillion won worth of short-term bonds, down 29.9 percent on month. They were responsible for 55.6 percent of the total. SPCs issued 43.4 trillion won worth of bonds with maturity of one year or less, financial companies excluding securities firms 38.3 trillion won, and private/public enterprises 27.8 trillion won.